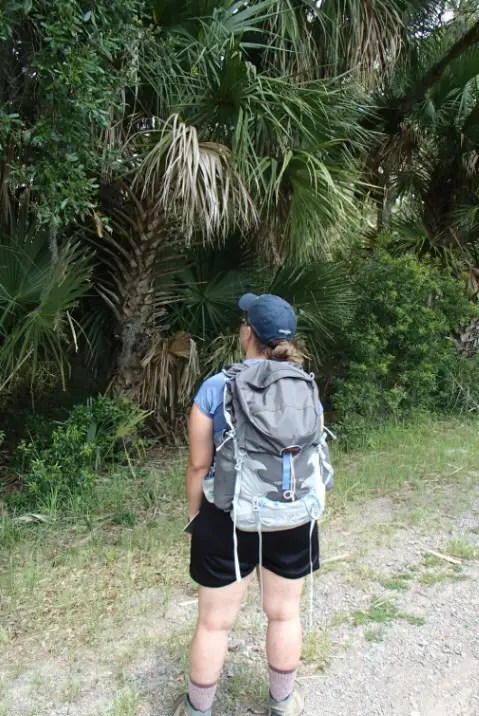 I’m starting out with a test series for the Osprey Tempest 40 women’s backpack. This is the first part of a three-part series sponsored in part by BackpackGearTest.org. Further reports are expected in 2 and 4 months. Osprey Tempest 40 Pack in use at Pinckney National Wildlife Refuge, South Carolina, USA.